RINOGERMINA (IN DRUGSTORES ONLY) The nasal spray is the biological barrier from pathogens. Normal nose and airway system microbiota is the core thing for healthy upper airways. Changes in micro flora can cause exacerbation of such pathologies as otitis, rhinosinusitis and adenoiditis and develop into airway complications. The pathogens usually associated with upper airway infections (Streptococcus pneumoniae, Haemophilus influenzae and Moraxella catarrhalis) make the so-called “harmful triad” (3, 4). Microorganisms of the common upper airway flora, such as α-haemolytic streptococci, inhibit growth of the “harmful triad” in-vitro and thus reduce the risks of colony formation (6). 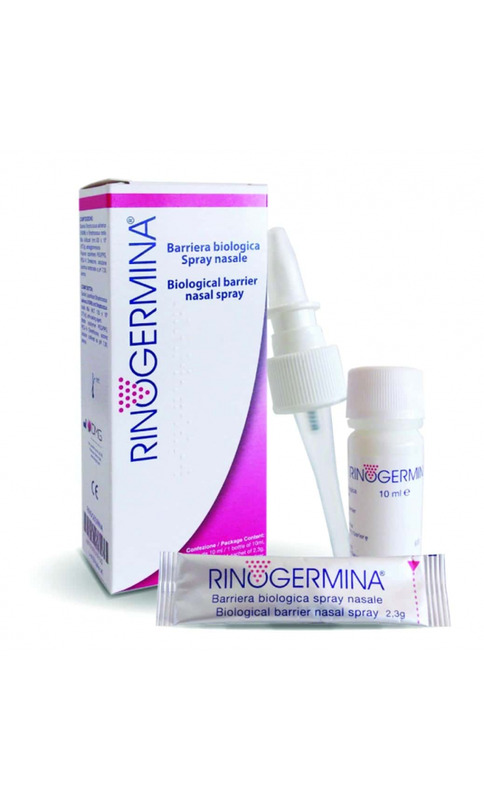 Harmless bacteria in Rinogermina act as antagonists of the pathogens; they do not disturb the microbial ecosystem (9), prevent reinfection (e.g., in the cases of middle ear inflammation and rhinosinusitis) and relieve infection. BARRIER EFFECT: there is no contact between the pathogen and host epithelium. to increase frequency of clinical recovery. 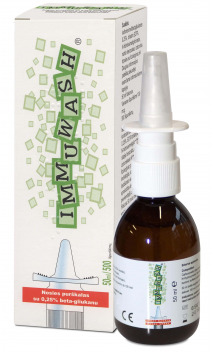 To improve and restore nasal mucus flora after various nasal treatment methods (nasal sprays, airway salt therapy, nose wash, etc.). Ingredients: 2.3 g sachet of lyophilized content: lyophilized Streptococcus Salivarius 24MBc and lyophilized Streptococcus Oralis 89a (min. 125 x 109 CFU*/g). 10 ml container: copolymer PEG/PPG, PEG-14 dimethicone filled with isotonic liquid, pH 7.00. Use. Adults and children: 2 sprays (min. 5 x 109 CFU) into each nostril 2 times a day. Use 7 days in a row or as prescribed by your doctor. Repeat the treatment course minimum 3 months. Keep open package refrigerated (at 4°C). 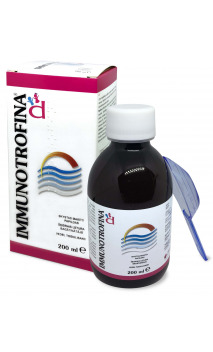 The product can be used maximum 7 days from the first dose. Keep unopened package at a temperature up to 15°C. The product is not sold electronically because of the required storage temperature. 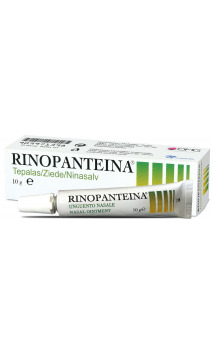 You can obtain it in any drugstore.